Rivea corymbosa is a member of the Convolvulaceae family. 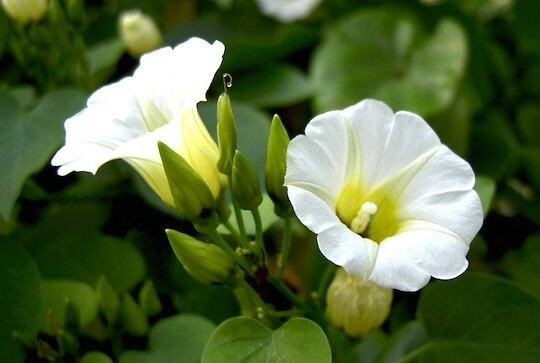 Ololiuqui is closely related to the Morning Glories Throughout historical refereces we see "two cultures in a duel to the death" (the Spanish and the American Indians) with the tenacity and wiles of the Indians defending their cherished Ololiuqui. The Indians seem to have won out. Today, in almost all of the villages of Oaxaca, one finds the Rivea corymbosa seeds still serving the natives as an ever present help in time of trouble. As with the sacred mushrooms the use of of Ololiuqui, so signifigant in the life of pre-hispanic Mexico, hid in the hinterlands until the present century.